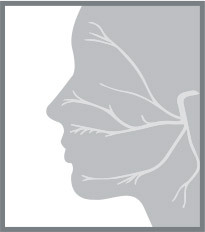 To help patients who suffer from facial paralysis regain dynamic facial movement, The Facial Paralysis Institute is committed to implementing the most advanced surgical techniques. Dr. Azizzadeh is a world-renowned facial paralysis expert who customizes each patient’s procedure based on his or her individual circumstances. His top priority is to make sure his patients receive unparalleled levels of care. 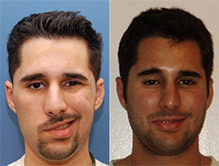 The number one cause of facial paralysis in the United States is Bell’s palsy. Bell’s palsy was first discovered by Sir Charles Bell, a prominent physician, and its terminology has been confused with facial paralysis ever since. Not all patients who have facial paralysis have Bell’s palsy. Bell’s palsy is coined for any type of facial paralysis that does not have any other associated causes such as tumors, trauma and salivary gland inflammation. The most common type of brain tumor is a non-cancerous tumor that grows on a tiny nerve between the inner ear and the brainstem. (Source: Komatsuzaki and Tsunoda, 2001). This happens on the eighth cranial nerve and is made up of several nerves that connect the ear drum to the brain. The cochlear nerve, carries hearing information. There are two others, left and right, that carry information to the brain which controls a person’s balance. Synkinesis means “simultaneous movement.” Synkinesis occurs secondary to abnormal facial nerve regeneration after Bell’s palsy or instances where the facial nerve has been cut and sewn back together. The facial nerve fibers can implant into the different muscles in cases of Bell’s palsy. 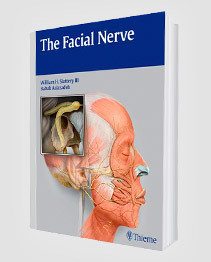 Additionally, when the nerve is re-sewn, the facial nerve fibers oftentimes reconnect to the wrong nerve group causing undesired and simultaneous facial movement. The facial nerve exits the stylomastoid foramen and enters the core of the parotid gland. Within the parotid gland it bifurcates into an upper and lower division. It further divides into 5 main branches including the frontal, zygomatic, buccal, marginal mandibular and platysmal. Permanent iatrogenic facial paralysis is rare due to the extensive arborization of the facial nerve branches. The frontal branch is a terminal branch with limited arborization. Injury to the frontal branch has the highest risk of causing permanent paralysis. Directed by world-renowned facial paralysis surgeon Babak Azizzadeh, MD, FACS, the Facial Paralysis Institute in Los Angeles brings together a team of highly-specialized facial nerve experts for the management and successful treatment of a wide variety of facial palsy conditions. The Facial Paralysis Institute is a cutting-edge medical center dedicated to bringing patients the best possible facial reanimation outcomes available today, including younger children born with congenital facial paralysis. A condition called “Hemifacial Microsomia” is one in which part of the face did not develop normally. Development of the ear and the jaw are compromised but can be surgically improved. After clefts this syndrome runs in second for surgical aid for the patient. There are no studies that link “Hemifacial Microsomia” to the actions or activities of mother’s during pregnancy. Why it happens still baffles researchers. A Hemifacial spasm is a disorder that typically involves contractions of the muscles on one side of the face. The Hemifacial spasm affects both men and women, but is slightly more common in the elderly. Typically the first symptom will be a nerve twitching in the face which can gradually proliferate throughout the muscles in the lower face. This can cause you or a loved ones face to be pulled to one side. 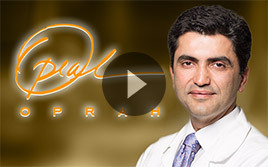 Dr. Azizzadeh, director of the Facial Paralysis Institute in Beverly Hills, understands the importance of bringing his patients the most cutting edge and revolutionary treatments possible for all types of facial paralysis conditions, including the extremely rare Ramsay Hunt Syndrome, a condition that can bring severe facial paralysis to individuals as a result of the reactivation of the chicken pox virus.